This article isn’t about itineraries and budgeting. This is about one of the many lessons LIFE teaches us! This is about an experience! 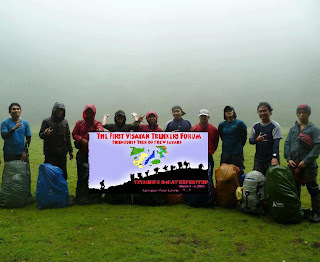 Last March 3-4, a group of ten individuals representing the islands of Leyte, Cebu and Negros gathered together for the first Visayan Trekkers Forum—Friendship Trek of the Visayans. We were mostly strangers to each other but we were all one in the spirit of unity and camaraderie among Visayan trekkers. The master planner was Gian Carlo Jubela (Cebu). The itinerary architect was Jack Daniel Cerrada (Bacolod). The other participants were Yuri (Leyte/Cebu), Neil (Leyte/Cebu), Duyduy (Cebu), Ed (Cebu), Kathy (Cebu/Negros), Mitch (Cebu), Jigz (Negros) and me (Leyte). We were to embark on a trek in Tanagong Dagat in Silay City, Negros Occidental.